Low Level Laser Therapy (LLLT) may be the pain solution treatment you have been looking for. Quick, easy and affordable. No prescription pain killers, no incisions and no side effects! LLLT reduces chronic pain symptoms by repairing the damaged tissue. When LLLT is placed over damaged cells, it stimulates them to increase their energy production, which improves blood flow and restores the cells into healthy active cells and heals the damaged tissue. LLLT has been researched and used for years. In fact, 6000 research papers have been submitted to PubMed and more are being written on the amazing benefits of cold laser therapy every day. Professional sports teams in the United States rely heavily on LLLT to help their athletes recover quickly from injuries. NASA; over 3000 hospitals; French, Canadian, US and Russian National teams use it, along with US Air, Army and Navy Bases; the US Veteran Administration; and Harvard Medical School. Most insurance carriers cover Low Level Light Therapy, so it is more affordable than ever now. Ask Dr. Clugston and the staff at Clugston Chiropractic if LLLT is right for you! Working out is an integral part of staying healthy and living your best life. Dr. Clugston makes fitness a regular part of his day and always recommends his patients begin a fitness routine as well. In fact, did you know that Dr. Clugston can work with you to create your own dietary and fitness plan included in your chiropractic consultation? *You should always consult with your doctor before beginning this or any other fitness routine. Have you been told spinal surgery or injections are your only hope? You may be a candidate for Spinal Decompression which works to rehydrate the disc and relieve pressure on your nerves or spinal cord. If you have had an MRI and want a second opinion before making the life-altering decision of spinal surgery, please call us for a free consultation! patients have had excellent results and were able to relieve their shooting pain, numbness and tingling caused by herniated or degenerated discs. Bulging, herniated or compressed discs often trigger pain and cause nerve interference that can greatly diminish quality of life. Spinal decompression therapy uses cutting edge technology to gently stretch the spine, creating space for compressed spinal discs to absorb vital nutrients. Our goal is to help as many people as possible live happy, healthy lives without invasive surgeries and expensive, addictive prescription drugs. 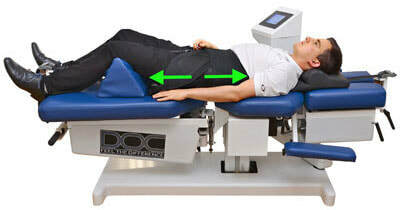 During spinal decompression therapy, patients are comfortably secured to a cushioned table. The computer controlled tables then gently separate to stretch the spine for between 15 to 20 minutes. The treatments are relaxing and many patients even take a quick nap. Spinal Decompression Therapy is safe and affordable. Call us for a free consultation. You have nothing to lose but your pain! 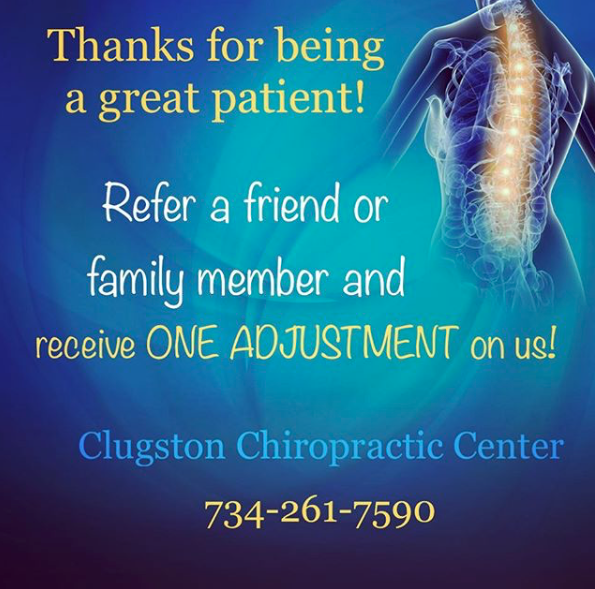 Refer a friend or family member to Clugston Chiropractic and receive your next adjustment on the house! With all of the brands of essential oils on the market today, you may be wondering why we chose to offer Rocky Mountain Essential Oils to our patients. 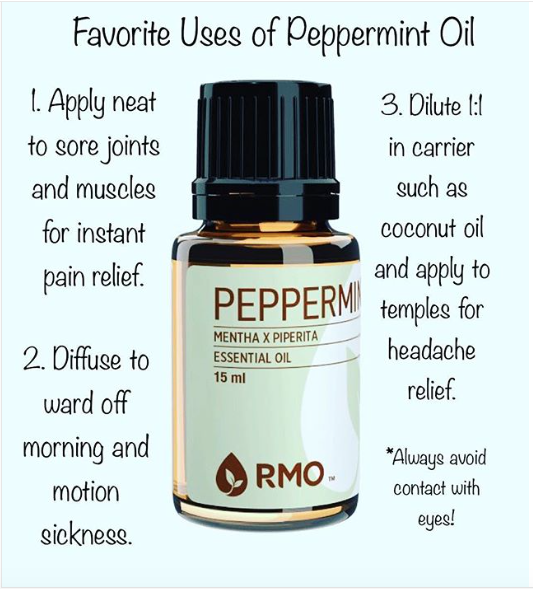 We did a lot of research and decided on RMO for a few reasons. 1. Rocky Mountain Oils (RMO), founded in 2004, is a leading non-MLM purveyor of 100% pure, natural and authentic essential oils, expertly crafted blends and nutritional products. What is MLM? Multilevel Marketing, or MLM, is a system for selling goods or services through a network of distributors. Multilevel marketing is also referred to as Network Marketing or Direct Sales. -Whether you believe this type of sales is a pyramid scheme or not, MLM businesses sell products and build clientele using the pyramid model, which we at Clugston Chiropractic are not a fan of. Essential Oil companies like Young Living and doTerra both run on a MLM system. While we have tried these oils and think they are of good quality, we decided not to go this route because the MLM system often drives up the price of oils and are based on competitive sales which we are not into. We sought out a company that is interested in providing people with affordable, high quality oils and not interested in commission sales that tends to push products on people. With Rocky Mountain Oils we are able to sell near cost and there is no member commitment on your part or sales commission on ours. 2. Rocky Mountain Oils guarantees a S.A.A.F.E promise. 3. RMO offers free shipping no matter how big or small your order is and has a no cost rewards program that allows you to earn points towards your purchases. This allows us to purchase oils at the most affordable rate and sell them to our patients cheaper than they can purchase directly from the website. If you are more of an online shopper and would prefer to order directly from their company, we can still get points towards purchasing more oils for our office by referring you!